Health authorities in China are investigating one of the nation’s biggest vaccine makers after eight infants died in the past two months following injections that were meant to immunize them against hepatitis B. The government said this week that it had suspended the use of millions of doses of a hepatitis B vaccine produced by the manufacturer, Shenzhen Kangtai Biological Products. Government inspectors have been sent to examine the company’s facilities. Six of the deaths have been linked to vaccines produced by Shenzhen Kangtai; the two other infant deaths occurred recently after the use of a hepatitis B vaccine produced by another drug maker, Beijing Tiantan Biological Products. The government did not say whether any action had been taken against Beijing Tiantan or its vaccines. Investigators have not determined the cause of the deaths or linked them directly to the injections, but the cases come at a time of growing public concern in China about food and drug safety problems. In recent years, China has been troubled by a series of scandals, including tainted rice and milk and the mysterious appearance of thousands of dead pigs floating in the Huangpu River in Shanghai. China has vowed repeatedly to crack down on food and drug safety violations and has moved to strengthen the powers of health officials. In the vaccine cases, the government is focusing on the role of Shenzhen Kangtai, a privately run drug maker formed in 1992 with government support and the cooperation of the American pharmaceutical company Merck. Merck helped the company build its drug-manufacturing facility in the city of Shenzhen in the 1990s, and it gave the company the biological technology to produce a hepatitis B vaccine royalty free as part of an unusual joint venture aimed at improving health standards in China. 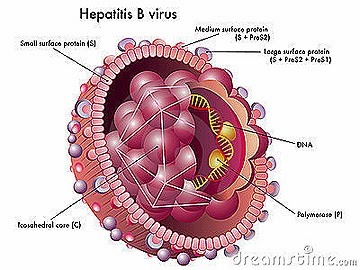 At the time, up to two million Chinese children were being infected annually with hepatitis B. Since then, China has made great strides in early vaccinations under a national program subsidized by the government. And Shenzhen Kangtai has become the country’s biggest producer of hepatitis B vaccines, with a 60 percent market share, according to China’s state-run news media. The company has also announced plans to build a $140 million research and development and drug manufacturing center in Shenzhen. A representative for Shenzhen Kangtai could not be reached Wednesday, although the company denied last week that its vaccines were at fault in the recent infant deaths. Although the authorities have banned the use of Shenzhen Kangtai’s hepatitis B vaccines at medical facilities, health experts say there are enough vaccines produced by five other Chinese drug makers to meet the demands of the national immunization program. In China, most hepatitis B vaccines are provided free to newborns. Hepatitis B, which attacks the liver and can lead to death, is the most virulent form of hepatitis, according to the World Health Organization. 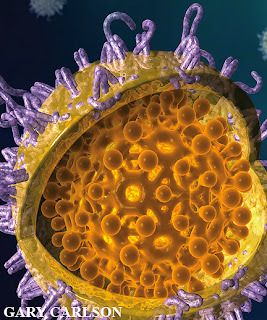 Chronic forms of hepatitis affect about 500 million people a year worldwide.